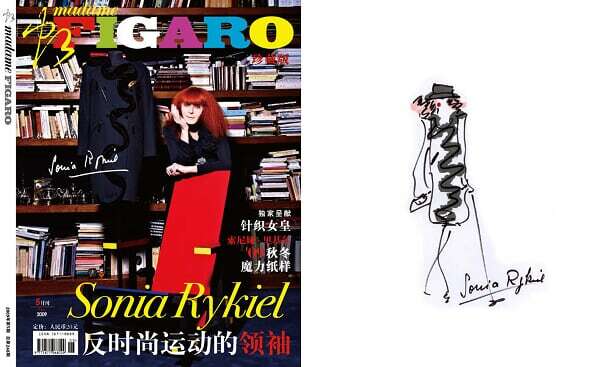 Discussion in 'Magazines' started by SHANGHAIBOY, Apr 15, 2009.
after Karl lagerfeld for the April issue,Sonia Rykiel Join the project of madame Figaro China! is it means that I'm going to buy this magazine,again? !I'm a slave for sonia rykiel,i have to say. Hello SHANGHAIBOY... tFS Community Rules require that you provide the source for the image you posted. thanks..but how can I edit the post? You can't... just make a separate post with the image source. Looks great, I love Sonia! thanks.I made a new post..